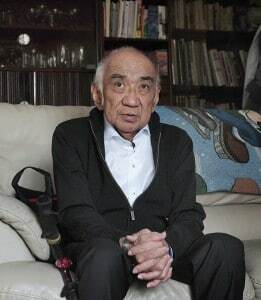 Tom was born in 1942 at a wartime internment camp for Japanese-Canadians. He had significant vision issues from birth, which later developed into retinopathy and macular degeneration, undergoing bilateral cataract and corneal transplant surgeries. Today he has about five per cent functional vision with light sensitivity. 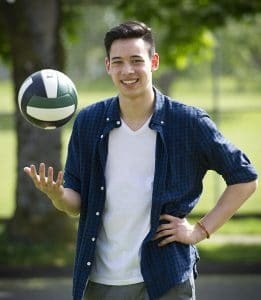 There were early signs in his mid-teens and he began suffering from poor renal function by 1978 and was put under the care of a kidney specialist. In 1983 he was put on hemo-dialysis and in 1984 he was fortunate enough to receive a kidney transplant, which served him well for 30 years. Three years ago his kidney functions were decreasing so he was back on hemo-dialysis by 2014 followed by a second transplant in 2015. None of this stopped Tom from getting an education and pursuing a career. He received B.A. and Masters of Social Work degrees from UBC and began full-time work at Shaughnessy Hospital in 1968, helping war veterans and others needing rehabilitation and support. When the hospital closed in 1993, Tom transferred to VGH, where he worked in the physical rehab unit and continued teaching and supervising social work students and future doctors. His deteriorating eyesight and other health issues forced Tom to retire from hospital work in 2004 and from his activity as a private practitioner in 2013, but none of that has prevented him from aiding a rich diversity of community organizations as a volunteer. It’s a long list starting with Kits Neighbourhood House in his university days, then later goes on to include the Kinsmen Society, Lions Society, Nikkei Seniors Health Care and Housing Society, Metro Vancouver Cross-Cultural Seniors Network, and the Association for the Equality of Blind Canadians. He has travelled widely, been a curler, bowler, hiker and cross-country skier. As his friends say of Tom, admiringly, there’s not much he won’t try. 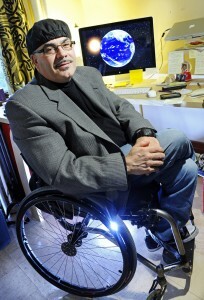 Randene Neill interviews Tom Teranishi – watch live on Global News Hour at 6pm May 4th. Hello my name is Sandra Yuen MacKay. I received the Courage To Come Back award in 2012 in the mental health category. I struggled with mental illness for many years. Tormented by hallucinations and delusions and dealing with side effects of medications, I felt my life was over at many times. But I dug my way out and became an artist, writer and public speaker on recovery. I published a memoir My Schizophrenic Life: The Road to Recovery from Mental Illness to build awareness and reduce stigma. A colleague who was also a friend thought I was worthy of this award and nominated me. That in itself was an honour. One morning, the phone rang, I picked up the phone, and it was Mr. Lorne Segal telling me I had been chosen for this award. I was thrilled. When I received the award and stood in front of over 1000 people at the gala, my life was definitely transformed on personal level and in the way others perceived me. I met the other recipients and during that short time, we shared a bond knowing the trials we’d been through and the joy we felt upon receiving our awards together. 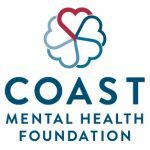 To be part of that experience at the gala, where people opened their hearts and gave toward the Coast Mental Health Foundation to help people in our community was profound. Generosity and humanity flowed in that room. Since the award, I was named as one of five Faces of Mental Illness in 2012, a national campaign which included advocating to Members of Parliament and visiting the Governor General and his spouse in Ottawa. The next fall, I spoke at a special event in Nanaimo, I was featured in a bus ad in Terrace, BC and I received a signed photo from the Minister of Defense praising me on my advocacy work. MP Don Davies called me from Ottawa to say how insightful my memoir was and encouraged me to write more. In 2013, I received the Queen Elizabeth II Diamond Jubilee Medal for contributions to the community. All these things came on the heels of receiving the Courage To Come Back Award. The award played a large part in subsequent events and successes in my life. There are others I know that deserve this award. People that have walked through fire and emerged ready to aid and inspire others, to give them the courage to move forward. Your child, sibling, relative, friend or colleague could be the next Courage To Come Back recipient. So, if you know someone who you think is worthy of this award, I urge you to nominate him or her. And that person may one day stand and be acknowledged for their perseverance and dedication to giving back to others.